Find another VoIP provider. These guys will scam you. I accidentally opened the call log for only faxes and was shocked how many fax receipts errors there were. I suggest anyone who has it currently do the same. Mine at the time turned out to be only roughly 11% of faxes received. I’d had problems with them all along but never realized how bad it was. While trying to resolve this issue they said their system does not work well with fax machines. Aren’t most faxes users out there still using machines or all in ones? It took them months to have any success resolving the issue and I’m still not sure it’s fixed since my clients avoid using fax with me now. I have no idea how much business I lost. They should have refunded me for the fax portion of my service for the entire period I’d been using it but only gave me 6 months of free service which they really did not give. They billed me anyway and I had to ask for a refund each time and stated that I had to do this each month. So they illegally took money they were not entitled to and made me request it back. It could take as much as 5 days to get your money back unless you raise a real stink over it. If you miss the charge or for any other reason don’t request your money back they keep it. Also, it can take as long as 10 to 15 minutes to reach someone to speak to for tech support or billing questions. If you are a single line user you will not receive technical support nights and weekends. Most of the small business owners I know work all sorts of hours. This is especially true now with the internet and people contacting us at all hour and us wanting that business. If you have service problems you don’t want to be down at any time and have no access to support. Their online knowledge base is terribly organized. The answer may be their but only a very small proportion of the time will you be able to find your answer there. Here’s my suggestion. Check your faxes in your call logs. You can get only them by going to your fax extension and this will leave out all other calls. Go back as far as you can. I believe it will be to the beginning of the prior year. If you were part of the problem, you’ll find you received a very low proportion of your incoming faxes. that might have changed a few months ago but prior to that you were not getting the service you had the right too. I am consulting with a top firm interested in this case for a class action. If you were a victim of this poor service, and interested in joining a suit, contact me at wingerone@rcn.com. Please put Ring Central problems in the subject. Also, if you’ve ever been promised free service, check your card they bill to and see if your service was actually free. If they charged you, this firm is also looking into this. As with the fax service, if you’ve been charged for free service and interested in joining a suit, contact me at wingerone@rcn.com. Again, please put Ring Central poor service in the subject. 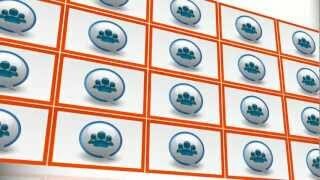 Find another VoIP provider. These guys are a joke and scam artists. I’ve been with Ring Central for 5 years. I’d always had problems with their fax service, both sending and receiving, but never realized how bad it really was until I accidentally opened a call log showing only faxes and saw almost all the faxes, particularly incoming had errors and hadn’t gone through. Tech support calculated that for the prior month only about 11% of the faxes had been received! I’d reported prior problems over the years and they’d sent test faxes that had worked but now I realize that they were on their own system sending to me and another internet service they were compatible with. When I first called tech support this time they said they’d elevate it and get back to me the next day. I never got that call. I’d waited 16 minutes to get through to them this time. I called a week later, holding for over 12 minutes, and reported the problem again. It was escalated but still took them days to get back to me. They would call, leave a message but no number to get back to them. When I finally was able to talk to someone, about 2 weeks after the first call, they said the problem was fixed but still wanted to change my fax number. First, why would I want to change my number if the fax was now supposed to be working. Second, I’d been giving out that number for years and would have to contact everyone I’d given that number over the years to give them a new number. it is also a hard area code to get a number in, 212 in New York City. The tech support also said they have trouble with regular fax machines. Most of the faxing done today is over these regular fax machines, especially with the advent of all in one machines. Why get another fax service if they have an internet fax along with their printer/copier/scanner that they have to buy anyway and also has fax? Some do but it’s still most just use their all in one. So I’d had their service for 5 years, been getting terrible fax service, though never realizing how bad it really was, and paying for it. I have no idea of how much business was lost because I never received almost 90% of the faxes. They offered me 2 months of free service to compensate for 5 years! they did up it to 3 months. I should have been given a refund for the service plus taxes paid for the entire 5 years. This virtually non existent service is supported by the fact that I was able to go back in my logs a year and see the problem was consistent over the entire year. I’ve downloaded this log for the past year to my own computer to save as evidence. Again, many of the faxes that did come through came from RC tech support so those can’t really be counted as successful faxes since it was either over their own system or an outside system they know they’re compatible with. It’s just lies to put us off and make us think they’ve fixed the problem with they haven’t. Everyone reading this, if they have RC service should go into their call logs and see what faxes they’ve been missing. If you know of anybody else using RC ask them to go into their logs and check the success ration of their own incoming and outgoing faxes. Perhaps we should all get together and bring a class action for being taken for services claimed to be provided but never received. There are also several other well rated services that cost less. The only reason I’m still with RC are two. First, I’m at a crtical point in my work where I can’t risk lost service during a change over. Second, I’m in the midst of another legal problem where i need the evidence in the call logs on ring central and can’t change until this legal problem is resolve. More problems with RC. Part of the reason for faxes is to have evidence of communication should you have a business dispute or legal problems . You have no way of keeping or accessing a copy of sent faxes with RC. Online tech support is a joke too. Only twice in five years have I been able to find the answer to a problem by going to online tech support. I have no choice but to call tech support to resolve what often should be simple problems. They’ve also made changes to their back office so that the answers on tech support don’t even match the screens they’re describing. Also, if you’re a single line user, you do not have access to tech support nights and weekends. They used to offer these customers 24/7 support but cut back on it to save money. If they had good online support then they wouldn’t have so many people needing live tech support. Most other services still over small single user businesses 24/7 support and again most other services cost less than Ring Central. I’ve checked the online support on two other services and on both of them I got answers to my several questions on the first page of each search. Part of the reason for the higher cost of RC is they offer rewards for you to bring in other subscribers to RC, as much as $1,000. You’re paying for this marketing ploy. If you need fax in your business, need evidence of your outgoing faxes, need tech support nights and/or weekends when you’re having any kind of problem or know of anybody else using RC and having such problems with RC and wish to explore a class action, please see if theres a way to contact me through this site. And for God’s Sake, don’t subscribe to Ring Central. I tried to use RC in Dec. 2014 and had numerous problems with them. Immediately after making the sale, the salesperson ceased communications with me; the initial invoice overcharged me for equipment that I did not receive, this was taken care of promptly; the initial invoice charged for shipping that was previously promised to be free, this was never taken care of; I purchased the upper end, cordless equipment. I found it to be very rudimentary in appearance and functions, the operation of the equipment was cumbersome and sometimes very complicated. I spent over 5 hours on the phone with different levels of technical support, they could not get my system up and running. Thank goodness I still had my old “trusty” system to fall back on. After all this, I decided to return my equipment. After over 2 weeks of patiently waiting, I received a refund of approximately 90% of my cost! I had the equipment for less than 30 days, and it was returned in the same packaging as I received it. Then, today my card was charged for the monthly services I never received! I found this company to be very unprofessional in their business operations, and their technical staff are not very well trained in basic operations (makes me wonder how they handle complex problems). Furthermore….they are a BILLING MACHINE!! Expect to pay more than promised if doing business with this company. Terrible…. It worked for a while and then one day the extensions stopped (intermittently) work. Customers called and would get stuck in a loop of entering an extension and being told it didnt exist. Several colleges are having the same problem but no one there seems to know what to do about it. The people you call, outsourced, dont have a clue what they’re doing. Customer Service and Tech Support is outsourced. I am sure company pays very little to employee and we get what they pay for. Very bad service!!!!!!!!!!!!!!! They do not understand or do not want to understand problem I have. The only what they know how to sell. If you have a problem instead to try to fix the problem they offer you more expensive plan and forward you to the sale person. Absolutely awful set up and customer service. We used RingCentral for the past 4 years, and one of their strengths was customer service. I don’t know what changed, but they outsourced this function and it is beyond awful… They changed security settings & mobile apps (without notifying us), I spent 27 minutes on the phone with non-english speaking script readers, was told someone would get back to me and then a week later I got an email saying ‘case closed’. Another 26 minutes on the phone today, asked to speak to a supervisor, another 13 minutes on hold, and then I was disconnected. You can’t open a case on their website either – you just get a perpetual ‘please wait’ timer. These issues are costing us business and I’ve had it. Have to go shop for a new service. I have had many clients on the RingCentral platform and they have nothing but great things to say about their service. I truly do not have time to leave this review, but I also do not have time to be reading these virtual phone system review sites looking for a new virtual phone system provider. But here I am thanks to either the business strategy department or the software engineering department at Ring Central. I have been with Ring Central a number of years. While their pricing and features are good, I have had various problems. I have had issues where incoming callers would receive a message saying my number was not in service or get a fast busy signal. That is just about the worst possible thing, but it has not happened in a few months. I lived with that because I could not be sure any provider would do better with that issue, and switching is a lot of work. What has prompted me to search for a new provider is how they treat existing clients. They “upgrade” their system and those upgrades have broken, or taken away features. I used to route incoming calls from clients ready to book a service call to one cell phone for 7 rings, and then to all employees phones (8) for an additional 9 rings, then to voice mail. This method resulted in client comments like we always get you or another tech whenever we call, that’s great. They reduced the number of numbers I could forward an extension to down to 4. They suggested I should use a department. This allowed only sequential routing of calls, not blast dialing. It also prevented call waiting from being useful, since it marked anyone on a call as busy. This resulted in complaints about availability and customers leaving or resorting to email to get ahold of me. These were annoyances, but finally they have taken away the ability to transfer a caller out of a department. So I can no longer transfer callers to the appropriate individual. They acknowledge it is a known issue, as if that should make me feel better. Again, lost business or much more work for me directing calls to the technician who will be dispatched to do the job, or whoever receives a caller who should have selected another person or department. Because of the loss of this feature we look smaller than we are not larger. I am leaving this message to let everyone who sees this know that even if Ring Central works for you now, or during the trial period, there is a high likelihood they will take away that feature that makes your life better and leave you with the dreaded task of setting up another phone system. Around The Clock I.T. Solutions Ltd.
I’ve found RingCentral easy to set up and love all the ways I can customize how calls come in. Everything works as advertised. I found their customer service to be excellent. They were easy to get through to and very knowledgeable. I’ve tried a couple of other PBX phone services, but have finally found the right one for me. The Business SMS within their Iphone app is great! We appreciate your kind words, James. Thank You for taking the time to point out the details of your experiences with the service! Any time we may be of help, please email us at socialmedia@ringcentral.com. Best, Divine Cabalfin/RingCentral, Inc. I recently visited your website, and really liked it. I’m the owner of an insurance agency and we currently use Freedom Voice for VOIP service. I have mixed feelings about their service, and was wondering if you had a sheet comparing the features and prices of the eleven VOIP systems on your website? If you do, could you email it to me. I don’t have anything in paper form right now, but I’d be happy to transfer the information in our detail compare grids into one excel spreadsheet if that would help. I will do this, email it to you, and make it available for download on the site as well. Thank you for visiting our site and for the wonderful feedback. I am searching for a virtual phone system to screen out unwanted calls for my business. In coming calls only. I called Ring Central and found that if I want to block a phone number it has to be done online. I don’t have time to run back to the office to block a number while out with my cell phone. I found that phone.com has a *9 feature that can block from any phone I may be using. 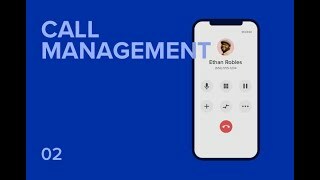 Does any of these other company have a nice call blocking feature. Thank you for reaching out and giving us the opportunity to be of service, Mr Kelly. 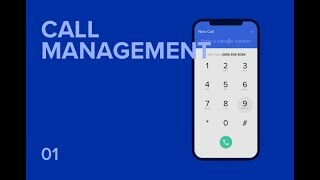 The new RingCentral Cloud Touch platform allows you to manage your account, including blocking calls, using iOS and Android mobile devices. Email us at socialmedia@ringcentral.com if you have further questions. Best Regards, Divine Cabalfin/RingCentral, Inc.
Ringcentral simply do not listen to its customers. Even after 3 years of begging from lots of customer, there’s still no auto call recording to all call option. Stay away. We do apologize that we’re unable to offer the feature at this time, Ryan. Nonetheless, we will forward your concern to the product team as a follow up to the feature request, for further consideration. Please also feel free to use the Feedback link on your account Overview tab to send in your follow up or, if we may assist you with additional concerns, send us an email at socialmedia@ringcentral.com,. Regards, Divine Cabalfin/RingCentral, Inc.